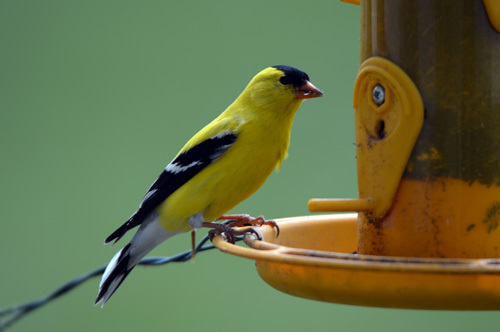 Today we had 1 Goldfinch – he found the feeder. 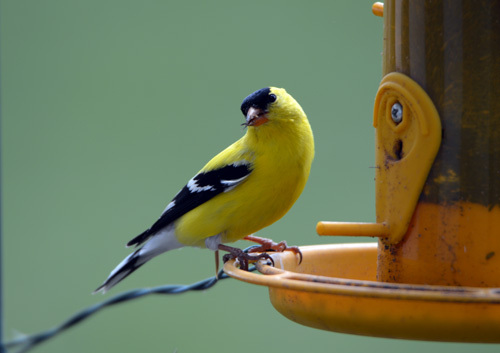 He’s hanging around with the Chipping Sparrows and Pine Siskins. Hopefully more will arrive. 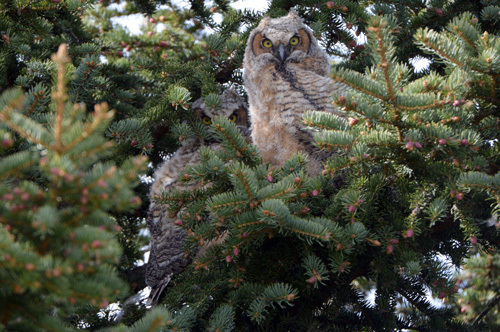 On the owl front – the 2 youngsters have taken their first flight and are now off the nest. I saw one with his Mum quite away from the nest. Not sure where the other one is. 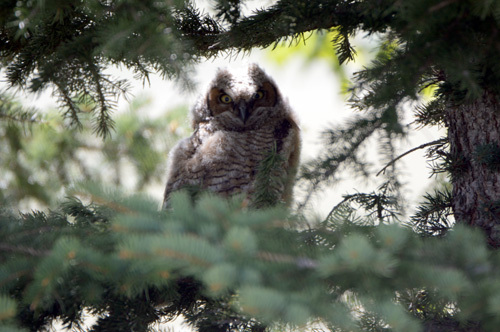 May 18 – quite a distance away from the nest so the first flight was a success. 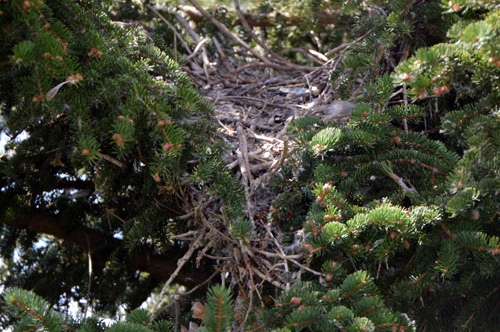 May 17 – off the nest, in same tree (branching). 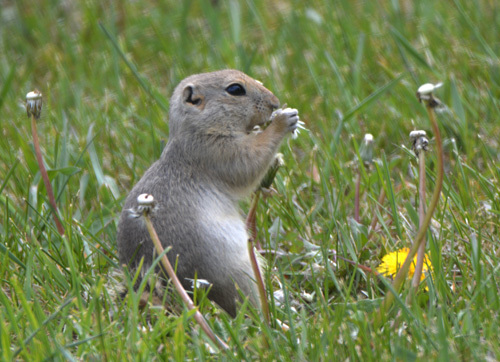 At least Gophers are good for something, they eat dandelions!